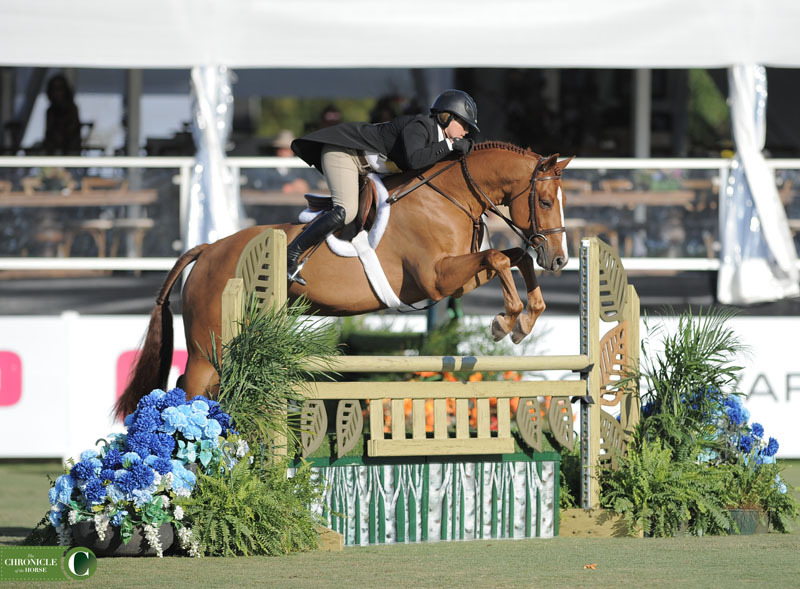 The first day of the $50,000 USHJA International Hunter Derby at Deeridge Farm didn’t go exactly as planned for the 55 entries in the feature class of the weekend. The class started 1 1/2 hours later than expected, so by the end of the order of go light was fading fast. It’s safe to say the leader at the conclusion of Saturday night’s rounds has a good chance of holding on to her lead. 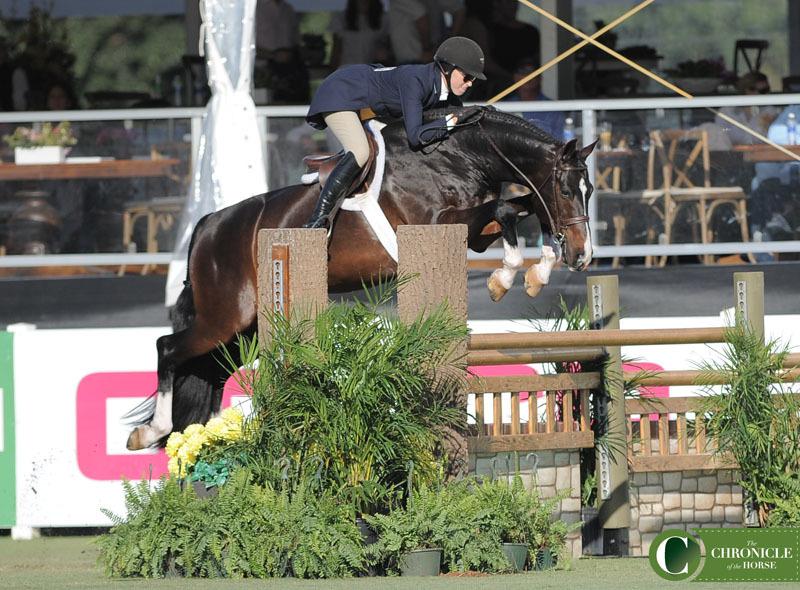 Tori Colvin rode Private Practice to scores of 92 and 94 plus four high option bonus points. Private Practice and Tori Colvin. Photo by Ann Glavan. 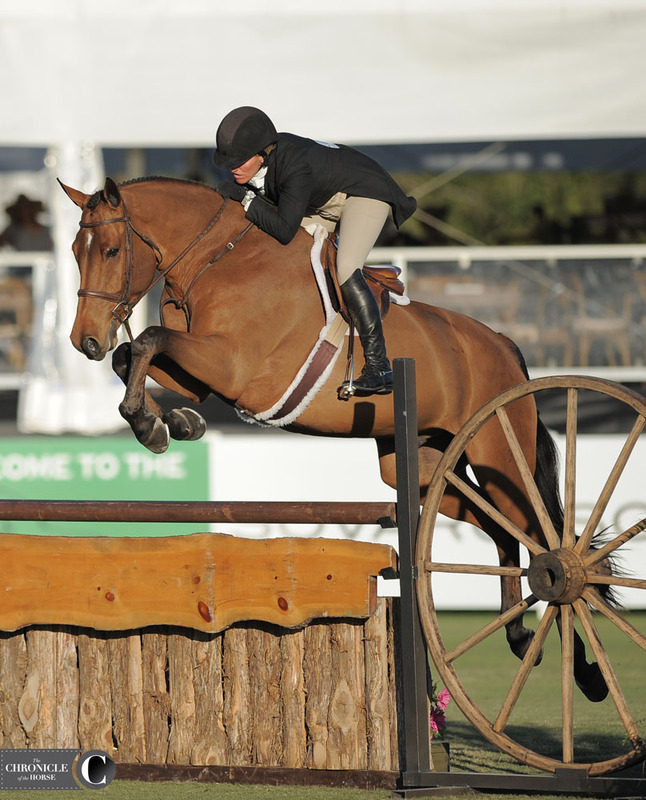 Colvin and Private Practice also won the $5,000 SBS Farms International Hunter Derby Welcome Stake on Friday. 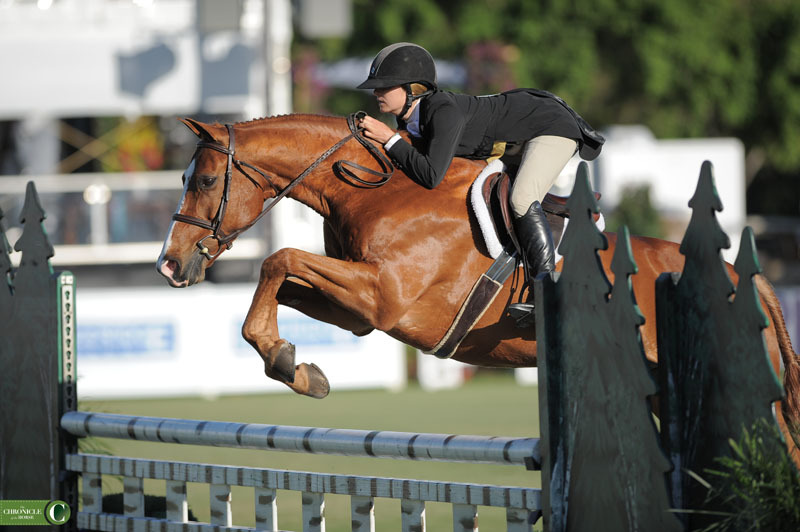 So far they lead the class by 10 points with Samantha Schaefer and In The Know sitting in second. The top 24 entries from Round 1 will return for the handy round at 2 p.m. Sunday. Click here for current ranking of the class. 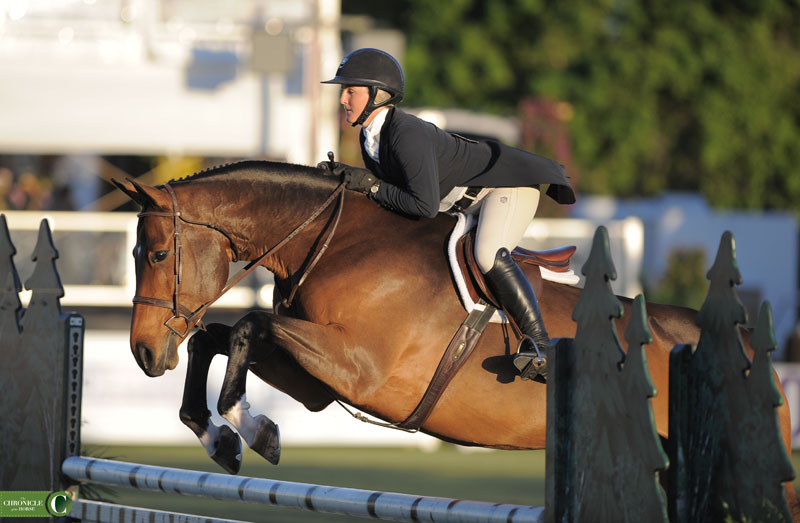 Tori Colvin and Private Practice lead after the first day of competition. Photo by Ann Glavan. 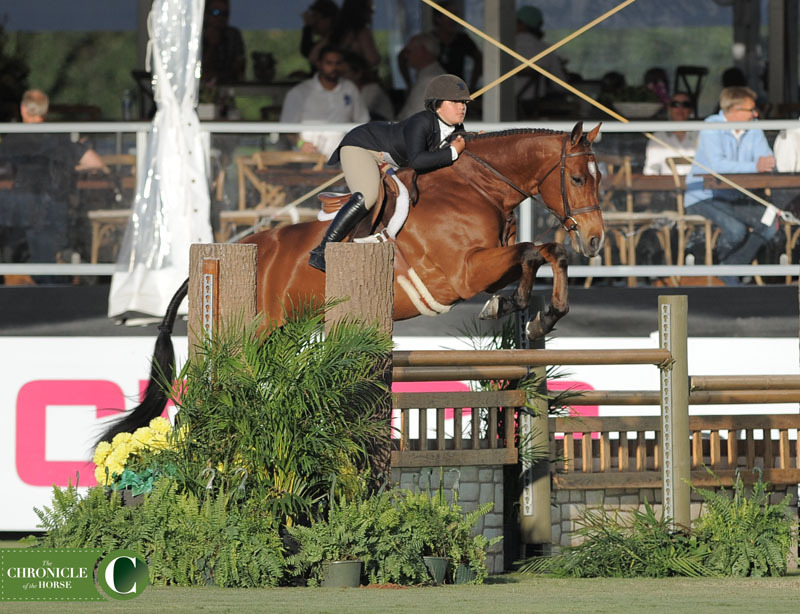 Samantha Schaefer and In The Know are currently in second. Photo by Ann Glavan. 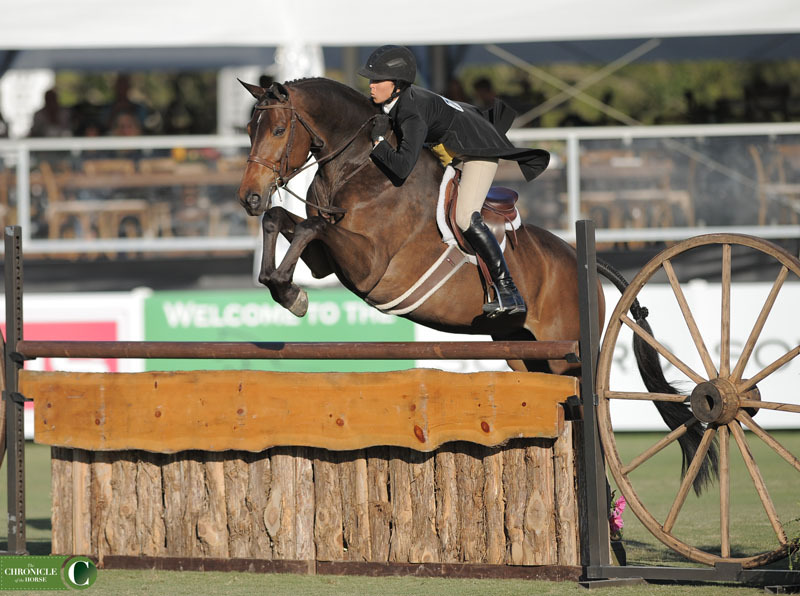 Tori Colvin is also sitting in third place aboard Cuba. Photo by Ann Glavan. Hannah Isop rode Red Ryder to fourth place. Photo by Ann Glavan. 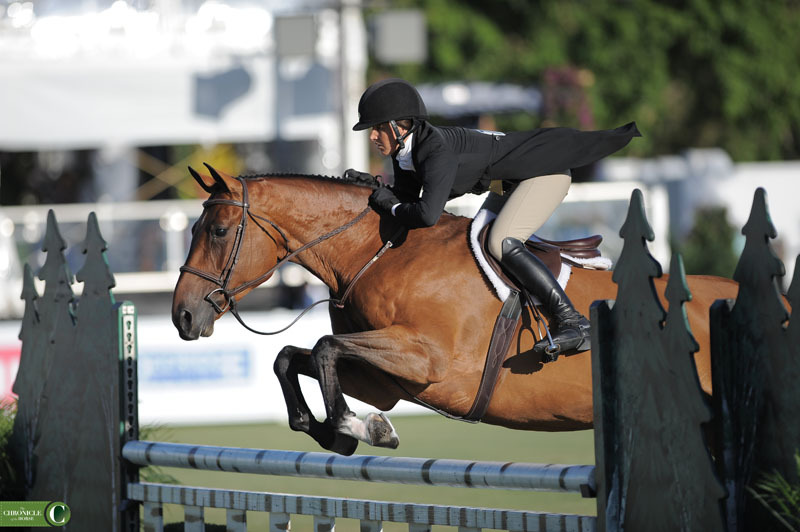 Canadian Erynn Ballard rode Carrick in the hunter derby at Deeridge before hustling up the road to jump on Canada’s team in the Nations Cup at the Winter Equestrian Festival. Photo by Ann Glavan. 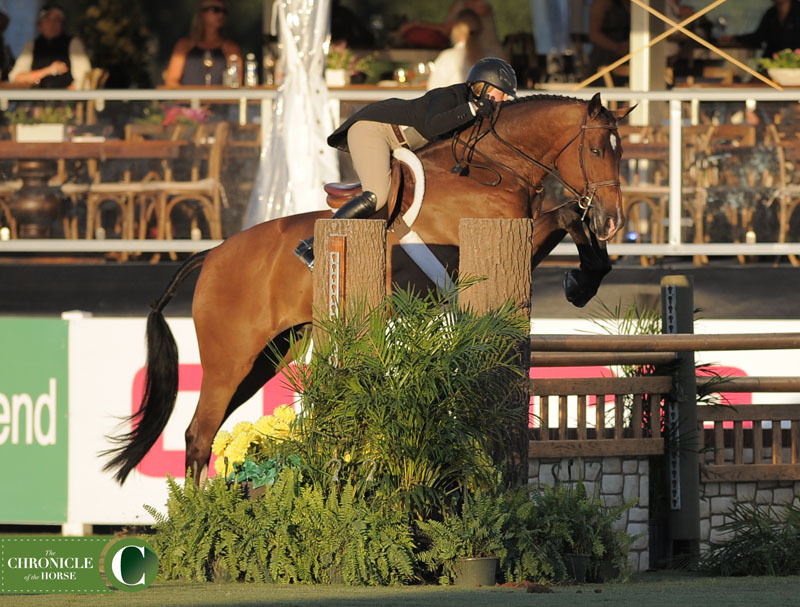 Liza Boyd and S&L Just A Cobbler are sitting in seventh. Photo by Ann Glavan. 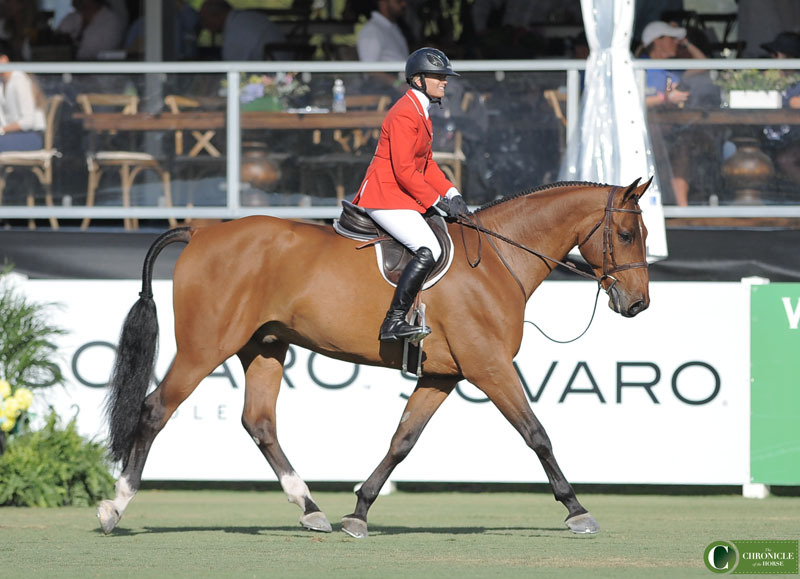 Olympic Fire and Jennifer Hannan are in eighth. Photo by Ann Glavan. Kensi and Kristi Herrera are sitting in ninth. Photo by Ann Glavan. Vanderpump and Augusta Iwasaki are ranked 10th. Photo by Ann Glavan. 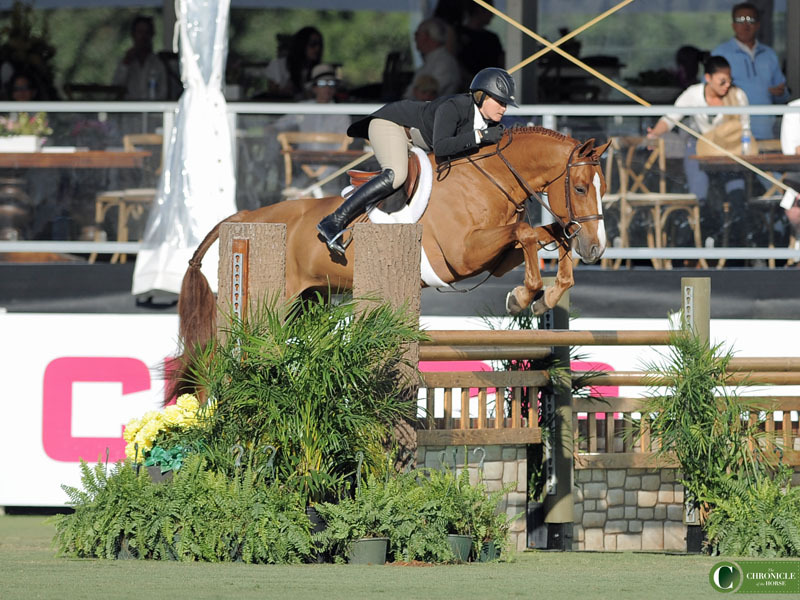 Exceptional and Kelley Farmer are ranked 11th. Photo by Ann Glavan.